This stunning raw edge veil speaks for itself with it's 105" width and extra volume that adds the perfect dramatic effect to any gown! 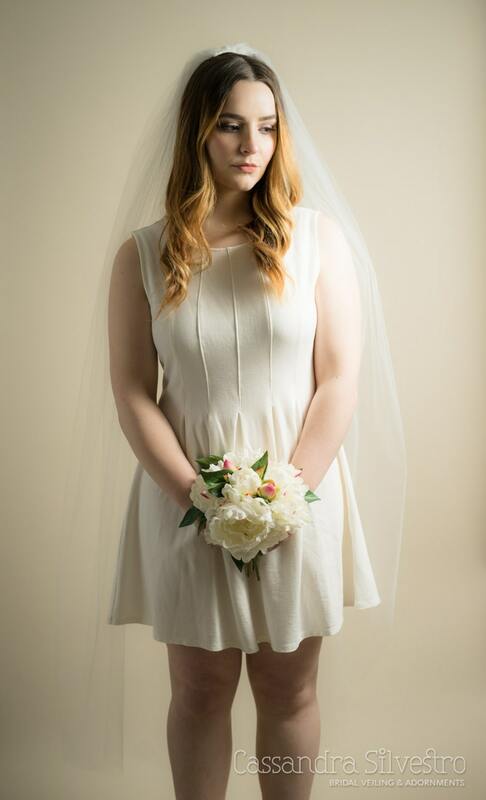 Each veil is custom handmade to order using only the highest quality, and softest bridal illusion tulle available; and is hand sewn with precision and care to a silver metal comb. 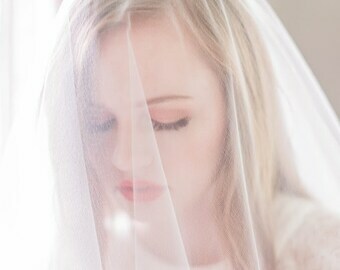 The veil is available in blush pink, white, diamond white, light ivory or ivory. The white is a stark, bright white and the diamond white is a soft, slightly off white. 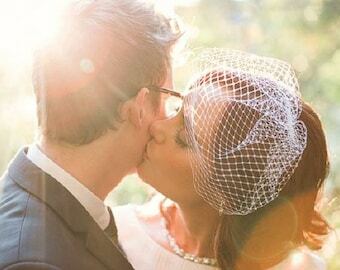 Such a simple and elegant veil. Shipping was super quick and communications with Cassandra were easy and prompt!